I didn’t have a blog post planned for today-we’re still waiting on our home goods to be delivered (less than a week!) so it’s been a struggle to blog lately. When I woke up this morning however, it was a cool 60 degrees and as I sat at my computer in a sweater, wearing my favorite fuzzy slippers, everything just felt so much like fall that I wanted the house to smell like it too! 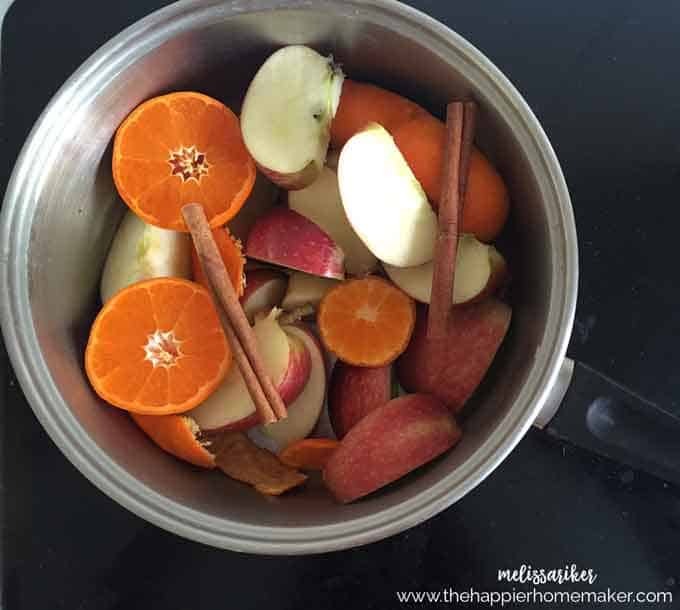 I had everything I needed in the house to make this autumn simmer pot and it smells so good I wanted to share it with you too! If you’ve been reading the blog for long you have probably seen some of my other simmering pot recipes. 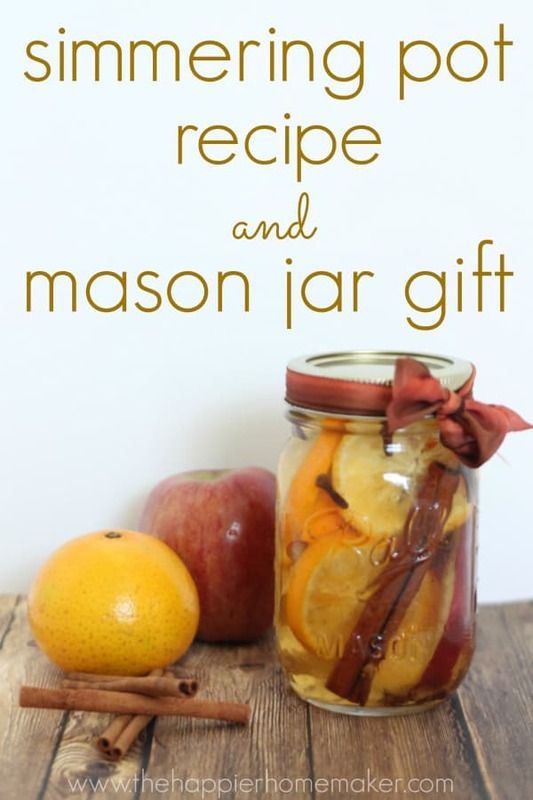 This is a simple one, all you need is some apples, oranges, cinnamon and vanilla beans or vanilla extract. Cut up your fruit and add to a small pot-you can use the entire orange or just the rind, it won’t matter. 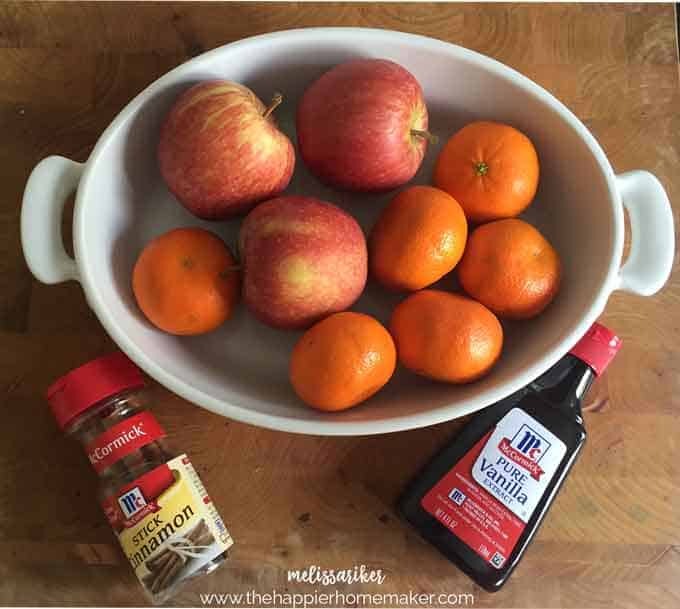 I used a combination of both so that my 5 year old could have oranges for a snack! 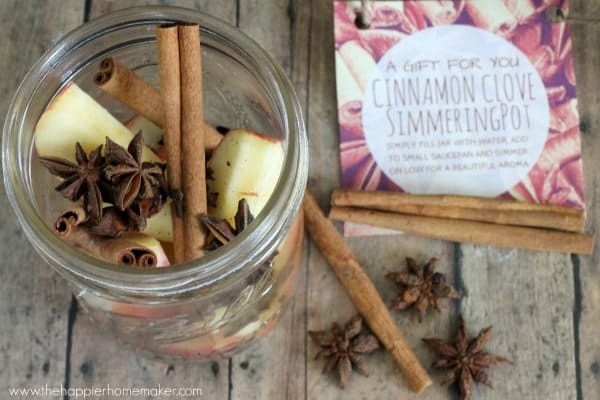 Add about a half tablespoon of the vanilla and a couple of cinnamon sticks. Add water to cover the mixture and bring to a boil, then reduce the heat and just barely simmer it. It only took about 10 minutes of simmering for our entire home to smell amazing. Add water every so often to replace the water that has evaporated. My boys love this scent-they all came downstairs from playing Legos to see what smelled so good! I hope you love it too! Is anyone else ready for fall? The temperatures in England are much cooler than what we had in the States so I’m already in full-fledged autumn mode! I bet it does smell good at your place right now. I am more than ready for fall. How long does the smell linger after turning the pot iff? Bring on Autumn! So want things to cool down . Can’t wait for the crisp nights and sunny days to change the leaf colour. While I love the scent of apples and cinnamon, I’m hanging onto the last bits of summer that I can. I am only a winter person when it comes to some decor, scents and recipes…I do not deal well with snow, ice or needing to wear a coat. I’m also am a fan of soft grass and leaves that will turn colors and new leaves and blossoms in the spring, so I realize I have to endure cold temps to bring this about. Just not quite yet for me this morning!! LOL However…my house sure could use a pot of simmering something…maybe I’ll steal an orange and apple from hub’s stash!! LOL What a great idea you’ve had for us!! thanks! Hi Melissa can you tell me how long this last? Love it and i have to try it, even though in Italy it’s still very warm. But I love fall, I can’t wait to decorate my house with pumpkins and pinecones and orange and brown leaves. Sounds great and I can just tell it probably smells wonderful. I did start decorating just the outside a bit..not ready for the inside yet. Sure it saves quite a bit instead of spending $ on the tarts and candles in the fall scents. Thanks for sharing! I love to have something on the stove “scenting” our home. I do like you do, but I haven’t thought of adding vanilla. That is such a great idea! 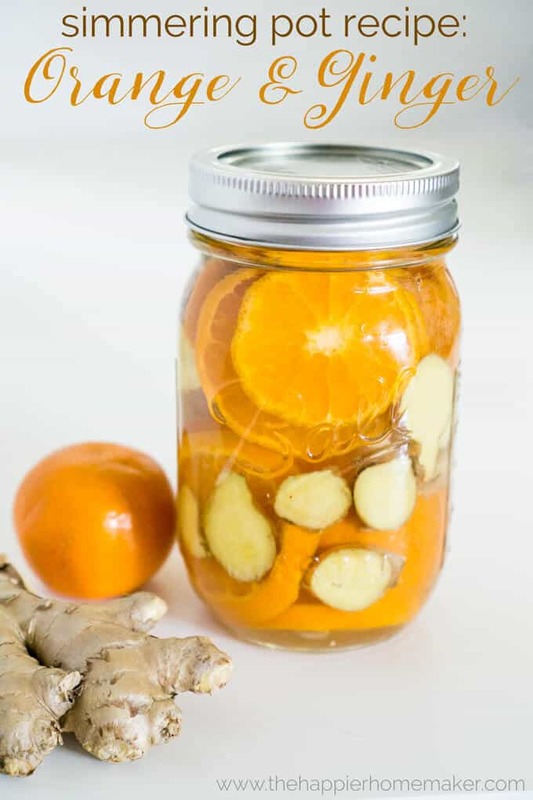 Have been making this for years, sometimes I use apple cider or apple juice and even orange juice. You can also use different flavors. Almond,pineapple and butter flavorings are awesome. I use just peelings from oranges and apples too. Can hardly wait til autumn, my favorite season.. love your blog. What do you do with everything once you are done? It seems wasteful to throw it all away. Thanks so much for this autumn recipe. It looks good and I’m sure it will smell good too. I really want to try this out. I’m just wondering how long you let it sit in the pot (after boiling) and what you do with everything once you are done? Just saw this today, 2018! And it’s still hot and summery, but I so want to try this now. How many days can you use the same mixture? Ahhhhh, I can just smell this now. 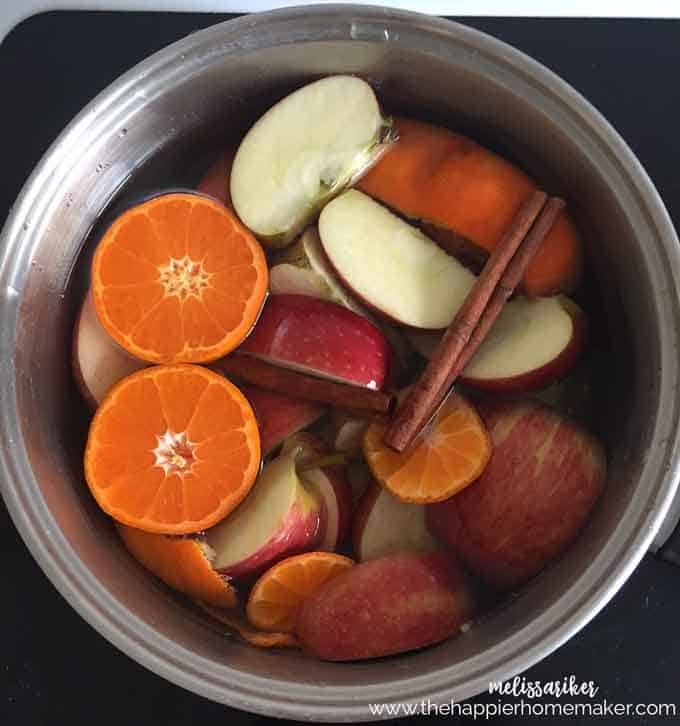 Do you ever make mulled wine? It smells so good, too, and you can DRINK IT!! I love this, I shared it in my fall crafts round up 🙂 http://kaijumaddy.com/2018/08/19/9-fall-crafts-diy-ideas/ Thank you! When you turn it off, can you reuse it later?? Ot do you need to make a whole new batch? That’s a really good idea (to refrigerate) yes thank you so much! !